I am trying export data from QXL. 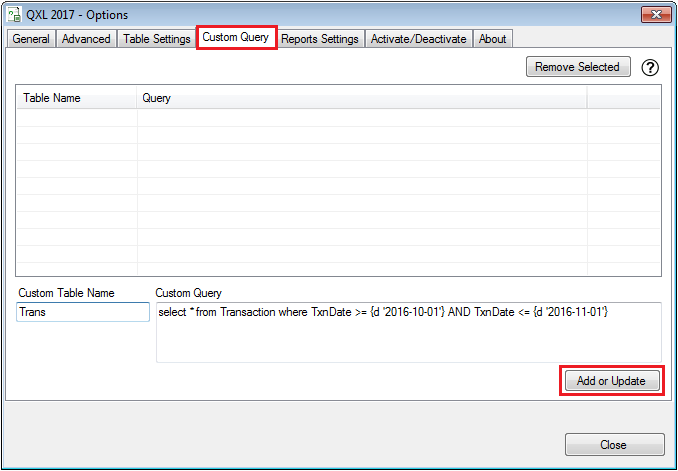 I have selected Transaction & other tables from "Table Setting" tab. After that, I click on QXL export button I got below error message after export. You will get above error if your table contains a large amount of data. 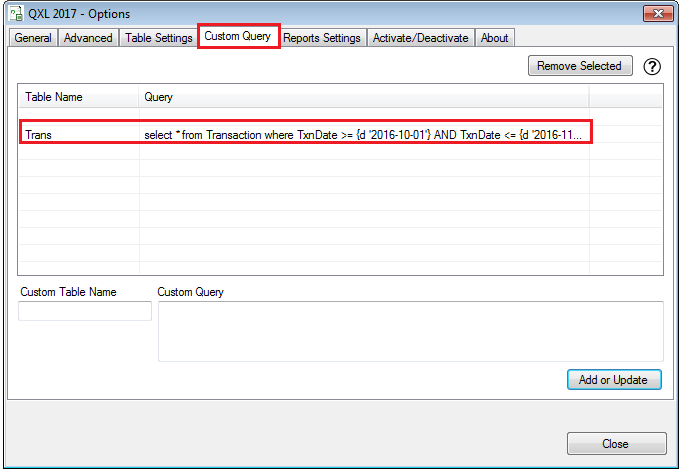 As your table contains a large number of records, You need to put limits on your query & export data. So you need to execute query through custom query. You need to write table name in Custom Table Name box & write the query in Custom Query box. After writing table name & query click on "Add or Update" button to add the query. Same way, You can add the query for different date period. After adding query, Please try to export again.